Hello! Jaded Blossom is having a special die release for July! Ive been dying to make halloween stuff so this is what I created with the die!! 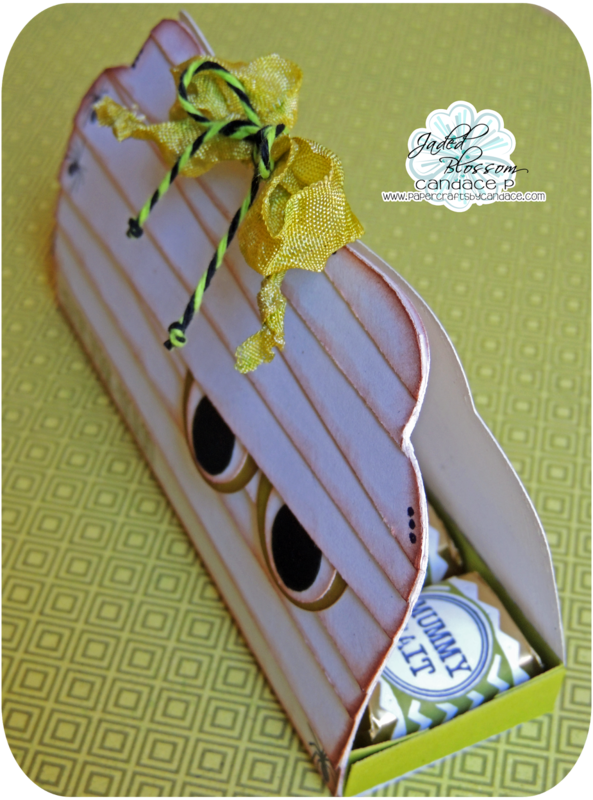 I cut it out in while and then cut white thin strips of paper and layered over the top! The eyes are created with a 1 inch, 3/4th inch and 1/2 inch circle punch. 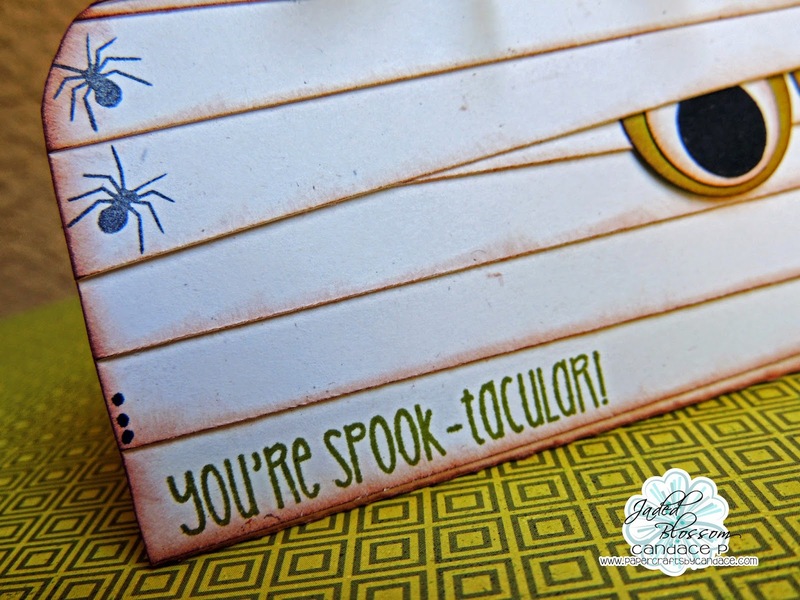 The sentiment is from Jaded Blossom's TOO Cute To Spook. The spider is from Halloween Bingo. I tied it at the top with some twine and rumple ribbon from Lovebug Creations. Here is a look at the tray that slides out. I used Candy Wraps, Candy Wrap Dies, and Halloween Candies 2. Ekkkk! 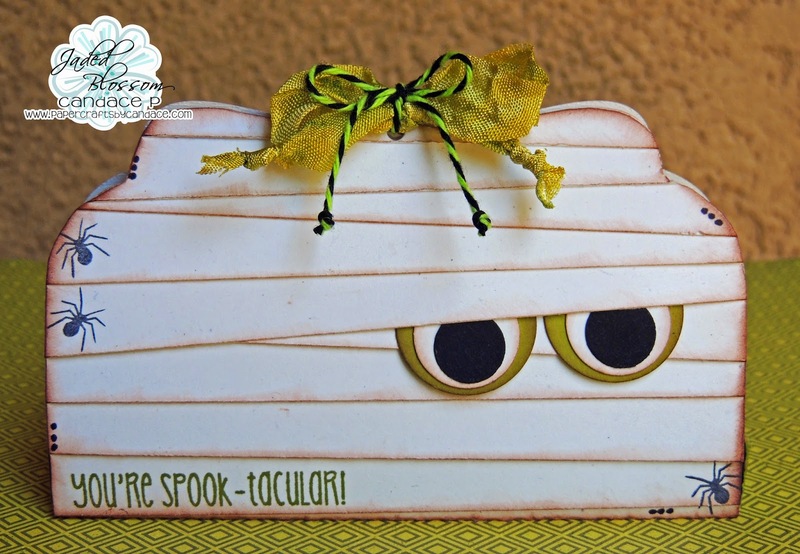 How cute is this for Halloween! Those spiders are perfect! Too darn cute, love that mummy! This is so creative!! I love it! This is awesome!!!! I love it!! and I love halloween!! 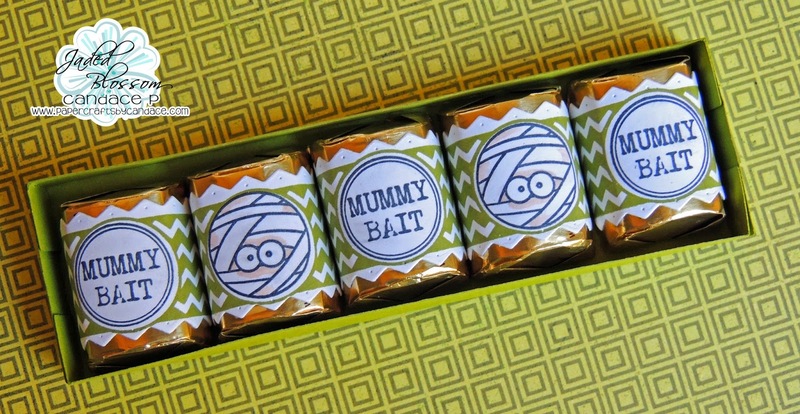 I so need to make this mummy way too cute! I LOVEEEE this! The eyes are so cool and the candies look fantastic!